The following article contains links to products from my affiliate partners that I personally use and recommend. You know you should eat cultured foods. You know your family should eat cultured foods. A couple of weeks ago I posted Getting Started with Cultured Foods, but, how do you get your family interested in eating them? Isn’t it funny how many of us eat fermented foods but don’t even recognize them as cultured or fermented? It is because many of the foods that we eat today were, years ago, truly cultured. For example, pickles, soda, cheese, sour cream and even bread! But, thanks to industrialization, the healthy, lacto-fermented foods of yester years have been replaced with a more consistent end-product. The lacto-fermentation method of fermenting has been replaced with processing that is cheaper, has a longer shelf life, it is easier to produce and basically results in an unhealthy final product! Now, unless you are already make cultured foods at home with true starter cultures (or buy brands with the probiotics intact), you are ingesting fake, processed substitutions. That is what makes it so difficult to convince your family that real cultured foods are to be coveted. Making minor taste changes to their beloved staples is a serious matter! 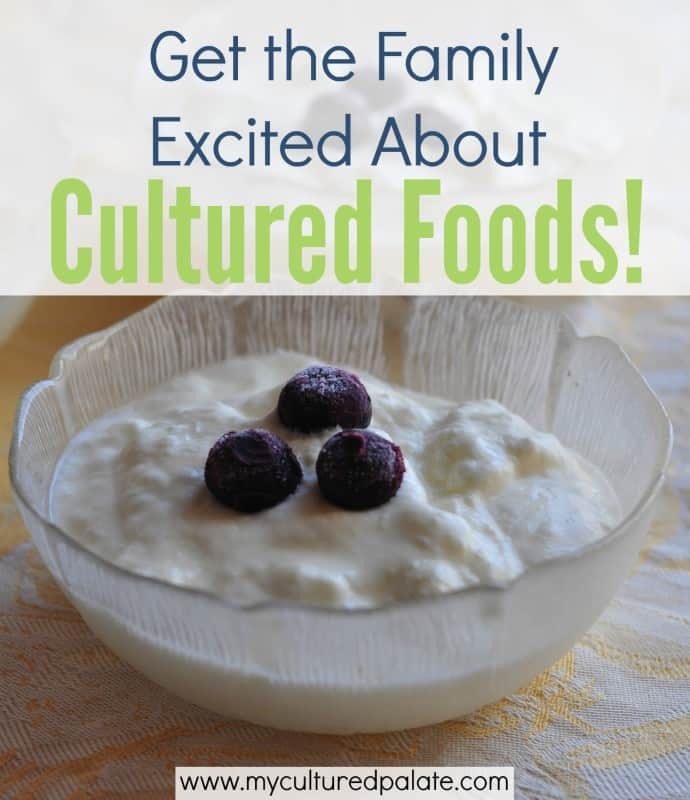 So, how do you get your family interested in cultured foods? Our children are all good eaters. Partly because they work and play hard and are hungry. Partly because they know they are expected to eat what is served. That being said, here are a few tricks. I have found that the easiest ones to convince are our younger children. They do not have the baggage of taste buds that have been conditioned with processed foods. It is easier to develop a taste for foods, spices and textures served at a young age. I serve daily kefir and cultured vegetables like sauerkraut and carrots. They learn and develop a taste for the tangy flavors. Processed sweets are reserved for an occasional treat. Because I began our REAL food journey when several of our children were in this group, they have been a bit more resistant to changes. Their taste buds have been conditioned and corrupted by the sweet processed food “treats” that I once served more liberally. Talking with you children and explaining why you are making the dietary changes is important to do. Explain that you were wrong in the way you have fed them in the past. Use this opportunity to teach your children that the processed foods are inferior and that you want them to have the best nutrition possible – to be the best and healthiest they can be. They need to understand why fermented foods are so good for you and your health. For this group, implement change slowly. Our children watched as my health returned because of the GAPS diet. That helped them to embrace the changes I was making in the foods served. If your children are resistant to change, add one fermented food at a time and give them time to adjust. Remember, this is not a sprint, it is marathon – you want the changes to last. If they understand the reason for the changes, they will be more likely to continue them for themselves! Again, use this opportunity to educate. Read bits and pieces of the information you are learning from. It is important to build up your spouse and not nag or talk down to them. Bad mouthing the foods your spouse enjoys is an invitation for disaster. Instead, in addition to sharing your growing knowledge about the benefits of fermented foods, teach by example. Eat the fermented foods yourself and offer them freely. 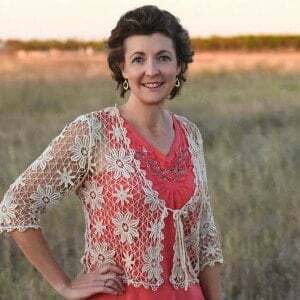 My husband, like our children, was amazed at the healing power I experienced (and continue to experience) with the GAPS diet – which included adding fermented foods to my diet. Not only was he supportive, but after reading Gut and Psychology Syndrome together, he suggested we try it as a family just to make sure everyone had healthy gut bacteria! He understood from the book, why healthy gut bacteria was so important and why the diet worked! Be sure to try a variety of new ferments. Not only are the homemade fermented foods tastier, they are also more economical and budget friendly. Our family enjoys Kombucha, Kefir, Yogurt, Sauerkraut, Fermented Carrots and sourdough bread. If you are looking for starters for any of these, I use Cultures for Health and have been very pleased with their service and quality. Here are couple of my favorite books filled with wonderful fermented recipes: Real Food Fermentation has beautiful pictures and step by step illustrated instructions. Wild Fermentation gives not only recipes but also the history of fermentation and more about using wild bacteria to ferment.